In January each area sets itself a goal for how many good deeds it wants to achieve and how many KM we aim to run. This year, this added up to a total of 6000 good deeds and 80,000 km. This year it was very close and we completed 6261 good deeds. Read on to hear how each one completed is a story of personal connection and a step towards making our cities happier and healthier for all. A huge congratulations to everyone who has been part of completing our January Challenge this year. This month we also beat our target of running 80,000km running 84,099, the equivalent of twice around the world. We also ran 6,261 good deeds along the way. It wasn't easy and we ran very close to the line, we needed a few hundred more good deeds in the last two days. TaskForce members across the country went above and beyond to organise over 1000 runners on community missions, making a huge impact on others and themselves. Melanie Young from Bristol did a huge 39 good deeds in January, closely followed by Samia from Kingston upon Thames with 36 good deeds then Egg Cameron, Ed Woollard and Barbara Griffin all from York who between them did a huge 93 good deeds and all organised numerous community missions for people to be involved in outside of group runs. 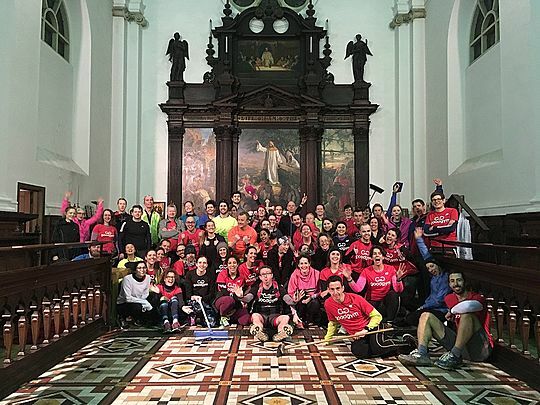 Starting off the month with a bang, a huge 61 runners from GoodGym Bristol ran to help the churches conservation trust. 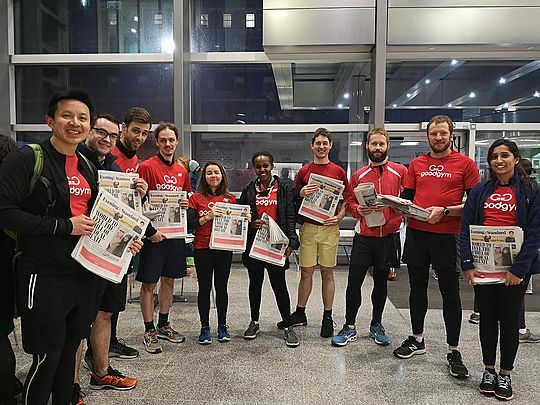 In Tower Hamlets, runners helped out at the Royal London Hospital by making hot drinks for the A&E department, chatting and read to older patients, giving out newspapers to people on the wards and litter picking at the hospitals green space. 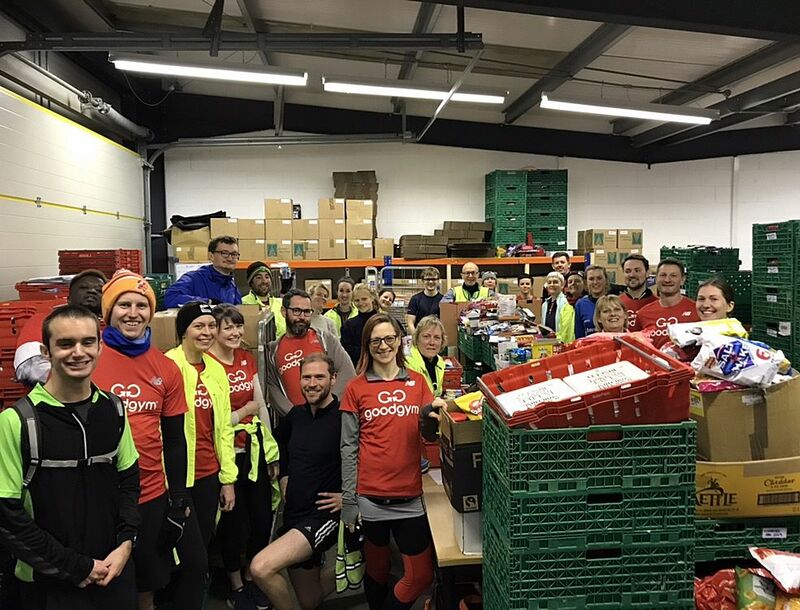 Runners in Norwich ran to help sort donations at Norwich foodbank to help those in need over the colder, icy months. In Newcastle, 34 runners spent an evening making bags for chemo patients on the children's ward a local hospital, assembling shelves for NEST NUSU who work with refugees and learning about bees with the Bee Society. The run was also filmed by ITV news giving us a chance to showcase all the good we have been doing. 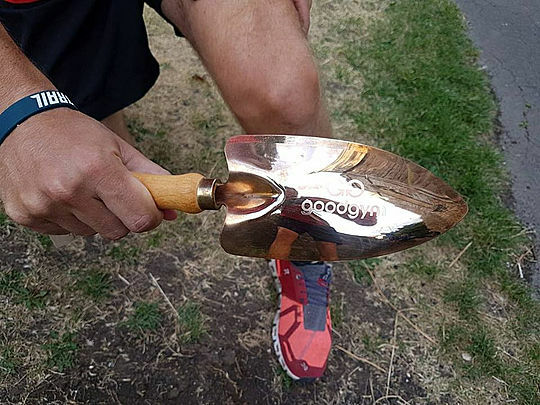 Runners from GoodGym Cardiff ran to help at a local primary school by painting a new wellbeing and nurture classroom cream & moving tyres to make a racing track for the school children. We've also had over 600 visits to older people logged this January. Running to visit an isolated older person continues to make our cities happier and healthier places to live. Louise has been visiting her coach Juliana since April 2017. She visited her coach over January once a week and sometimes on the weekends to stop in for a chat and a cup of tea. Juliana said that "noone else comes to see me in the week. I love my visits with Louise, they mean a lot to me." 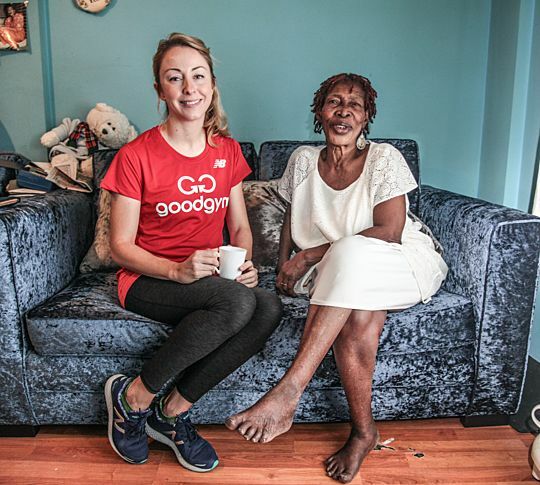 Completing this challenge also wouldn't have been possible without the hard work all the GoodGym trainers do to organise tasks, keep us safe and motivated, share their running expertise and enable much of this to happen. We would also like to welcome to all the new runners who got involved this January. You helped us achieve more than ever and are always welcome back for more. 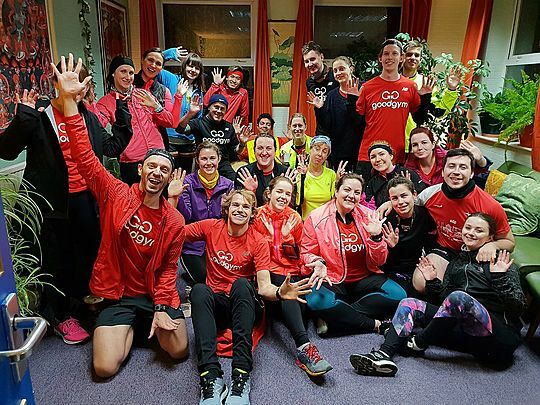 The overall area winner for the January challenge goes to GoodGym York, who alone got a massive 704 good deeds for the month, nearly double their original target, by setting up group runs and community missions for every day of the month. 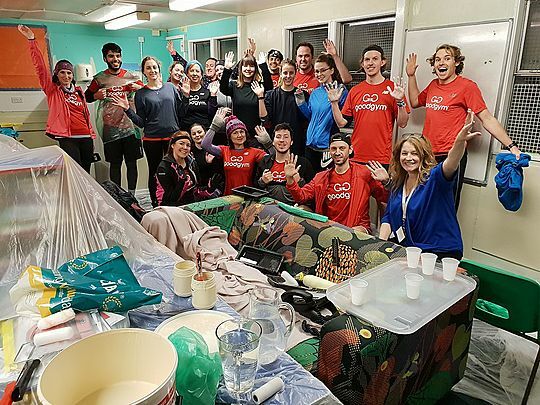 A huge congratulations to all the runners of GoodGym York, trainer Egg Cameron, and the 19 members of the taskforce who organised a massive 51 tasks to get as many people as possible involved in doing good over January.